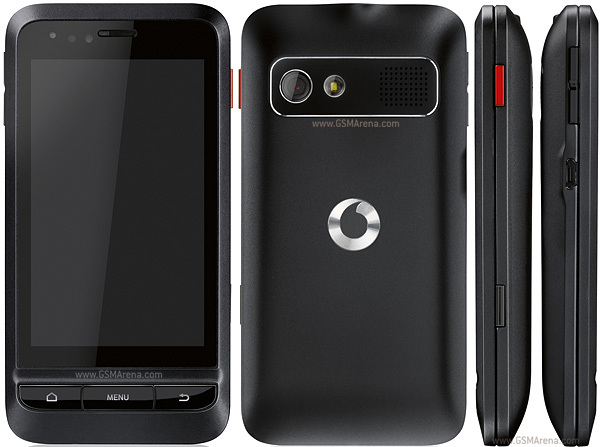 Do you own the Vodafone 945 that was launched in 2010? Have you been dealing with problems that lowered the performance of your phone? If you answered affirmatively to both previous questions, all we have to say is that you came to the right place. This article will teach you everything you need to know about your device while it will also explain more about soft and hard resets. The first option is suitable for those of you who are only dealing with a frozen devie. It could be stuck on a certain screen after having used an application. This can be due to the application itself or it could simply be because your phone is getting older. We recommend uninstalling all apps that are causing problems and re-installing them afterwards. Once this is done, you can try using the phone as before and do a soft reset to make sure it’s functional. The second option is for more serious problems such as fatal errors and a generally slower phone. Running on the Éclair operating system from Android, the phone has an internal memory of 300 MB and comes with a micro SD card that can store 32 GB. While a very good phone that can play most media types (MP3, MP4, WAV, WMA, etc. ), this Vodafone doesn’t come with a radio included. On the other hand, the phone having two cameras is equipped with a Wi-Fi hotspot 802 and Bluetooth version 2.1. The warm or soft version of this operation can be performed by pressing the Power key for 10 seconds until the device vibrates and turns off. Make sure you charge the battery before tyring to power it back on. In some cases, it is also useful to remove the battery and insert it back into its slot. Before you move on to the second solution, you should save all important files because this process is going to erase your documents. Some of the best apps you could use are available for free on Google Play. There are many applications that could suit your phone and are easy to use, such as ROM Manager, MyBackup Root, Link2SD, etc. Turn your phone off before getting started with the reset. Press the Volume Up, Answer key and Power button at the same time, then wait for the recovery screen to pop up. Follow the instructions on the screen and wait for the phone to reboot. Your phone is now restored to factory software and all you have to do is place all data back into it using the backup you made. Also, use the provided methods at your own risk. We don’t bear any responsibilities for the data loss or other damage that your phone could suffer.